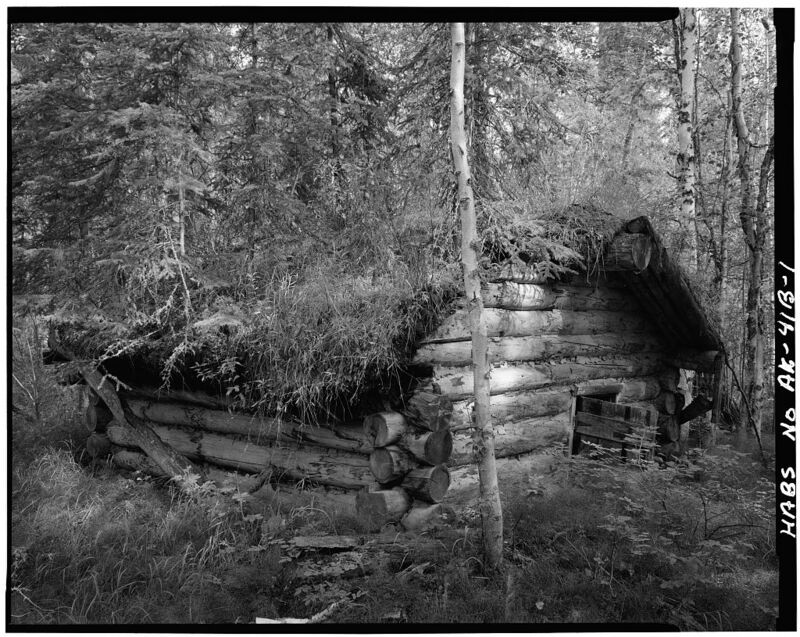 Not far from James Taylor’s dog barn, also on the Yukon River, one of the most impressive kennels in Alaska was built at the direction of then-Lieutenant William “Billy” Mitchell, who was at that time charged with building an extensive network of telegraph and cable lines that would link Alaska to the rest of the world. The Washington-Alaska Military Cable and Telegraph System (WAMCATS) would connect Fort Liscum in Valdez to other forts along the Yukon River: Fort Egbert at Eagle City, Fort Gibbon at Tanana, and St. Michael on the Bering Sea coast. To accomplish this mission Billy Mitchell, who would later gain a Major General’s stars and earn fame and controversy as the “father of the U.S. Air Force,” bought 80 huskies, 40 sets of harnesses and 16 sleds. 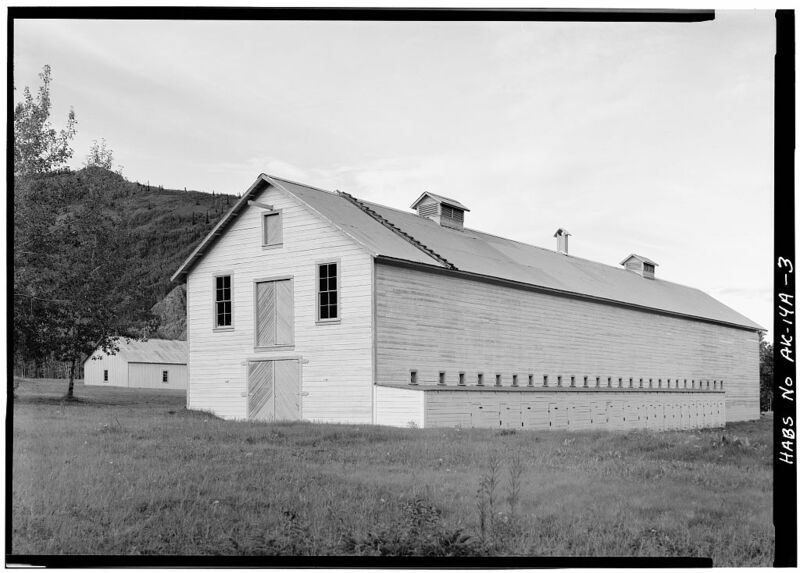 To house the huskies Mitchell had 19 sled dog kennels added to the south side of the mule barn. In June, 1903, Lt. Mitchell’s crews completed construction of the first telegraph line to span the interior of Alaska. 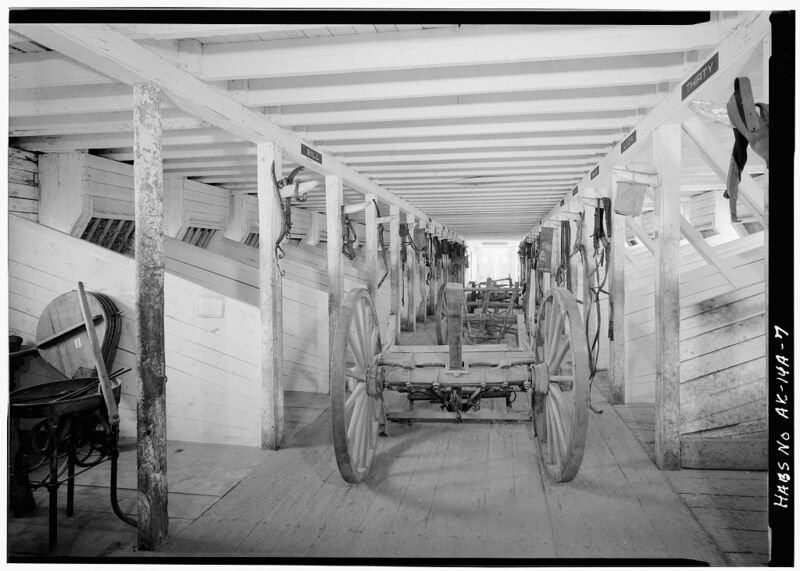 According to the booklet Eagle-Fort Egbert: A Remnant of the Past, produced through the cooperative efforts of the Bureau of Land Management and the Eagle Historical Society & Museums, the ﬁrst ﬂoor of the mule barn, or quartermaster stables, was completed prior to May 1900 at a cost of $550 for materials. It housed 53 animals. Some of the mules’ names hang above the stall doors. The hay loft was built in 1901. The barn was used until 1911. Today it contains exhibits from the past: a blacksmith area, sickbay stall, mule harnesses and hardware, old wagons, mining and agriculture memorabilia, boats and dog sleds. Among those “substantial buildings,” which included dormitories, a cafeteria, a hospital and others, was the A.E.C. stable and barn, a two-story log-and-frame structure known as the Headquarters Barn and Stables. Unfortunately, like almost all of the A.E.C. buildings, it no longer survives, and photos of the building are rare. Shortly after the turn of the century, Charles Hinckley and his wife Belle brought three cows and some horses up the Yukon and Tanana Rivers by sternwheeler, and they started a dairy to serve the gold-rich outpost of Fairbanks. In 1928, the Hinckleys sold the dairy to Charles and Anna Creamer; Charles was the son of close friends living nearby, and Anna was Belle Hinckley’s younger sister. The new owners named it Creamer’s Dairy, and during the 1930s and 1940s, the Creamers worked hard to modernize and expand the business. 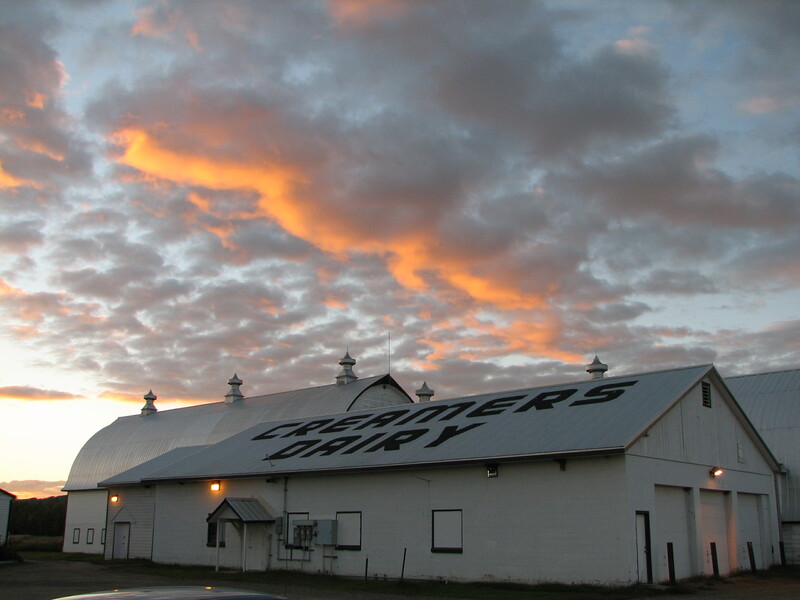 They built two large Louden barns, designed by the Louden Machinery Co. of Iowa, which still give Creamer’s its distinctive visual appeal. The larger barn cost $13,700, more than the entire dairy had been worth ten years earlier. The hayloft held 165 tons of hay, enough to feed 55 cows through the winter. In 1938 the Creamers threw a huge dance and invited the whole town to celebrate the opening of the new barn and its state-of-the-art equipment. According to a report in the News-Miner the next day, nearly everyone in Fairbanks attended. 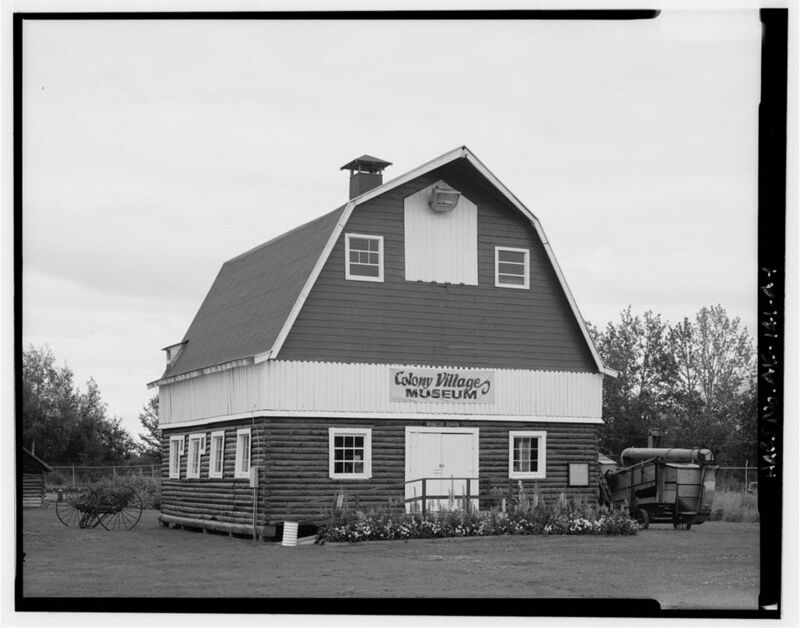 The dairy thrived throughout the next few decades, and when it finally ceased production in 1966 it was the largest and most successful dairy in Interior Alaska. The town of Fairbanks lobbied the state to purchase the entire dairy and 1,800 acres of land, which has since become the Creamer’s Field Migratory Waterfowl Refuge, under the supervision of the Alaska Department of Fish and Game. 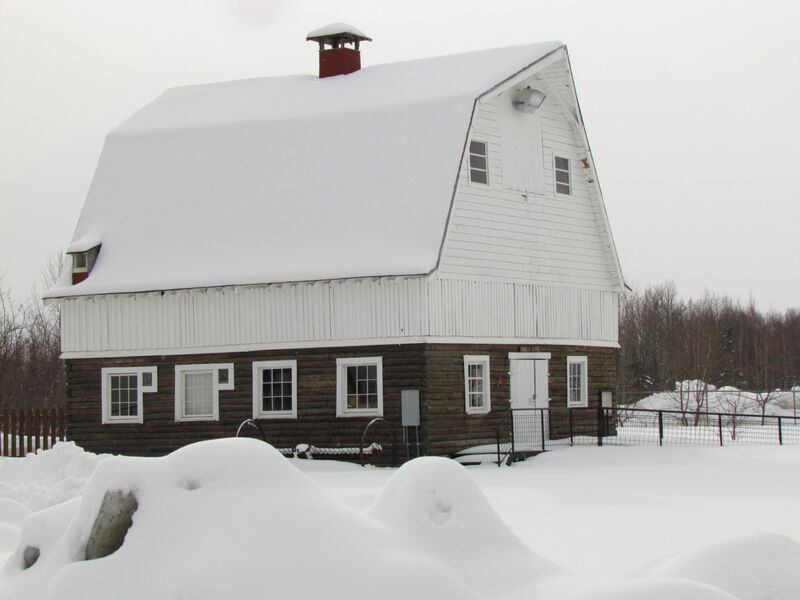 The structures are the only surviving pioneer dairy buildings in Interior Alaska, and in 1977 they were admitted to the National Register of Historic Places. 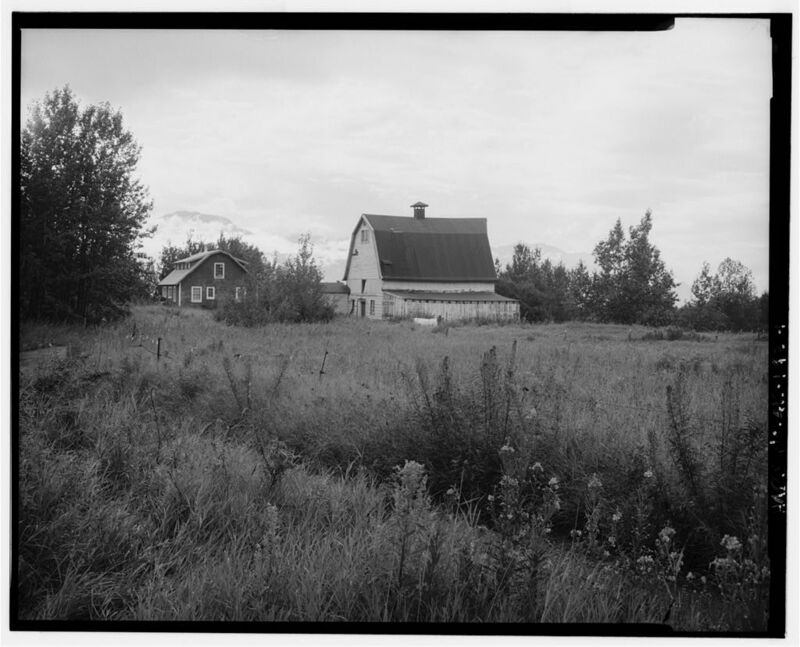 In most parts of Alaska barns were few and far between, but as the land grew more settled, more barns were built to shelter valuable livestock and equipment, and to store feed. The Hatch Act of 1887 authorized agricultural experiment stations in the United States and its territories to provide science-based research information to farmers. 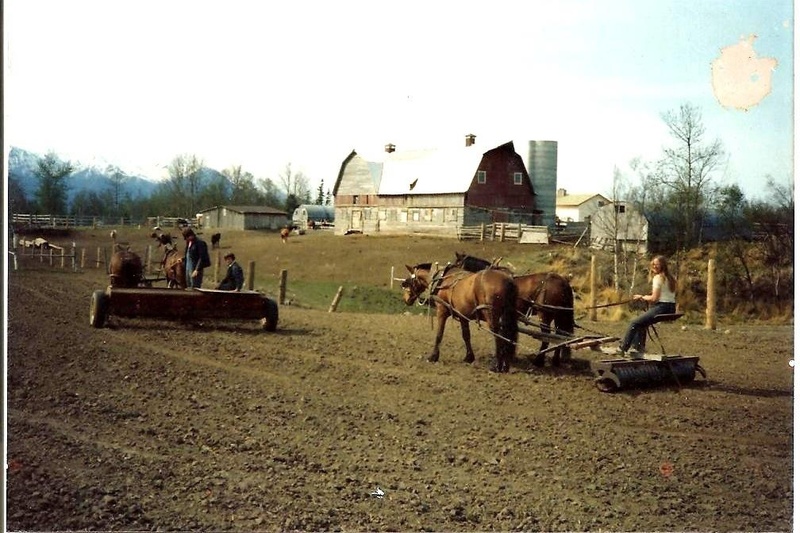 In 1898 the federal government established the first Alaska Agricultural Experiment Stations in Sitka and Kodiak, and stations in Kenai, Rampart, Copper Center, and Fairbanks followed quickly. 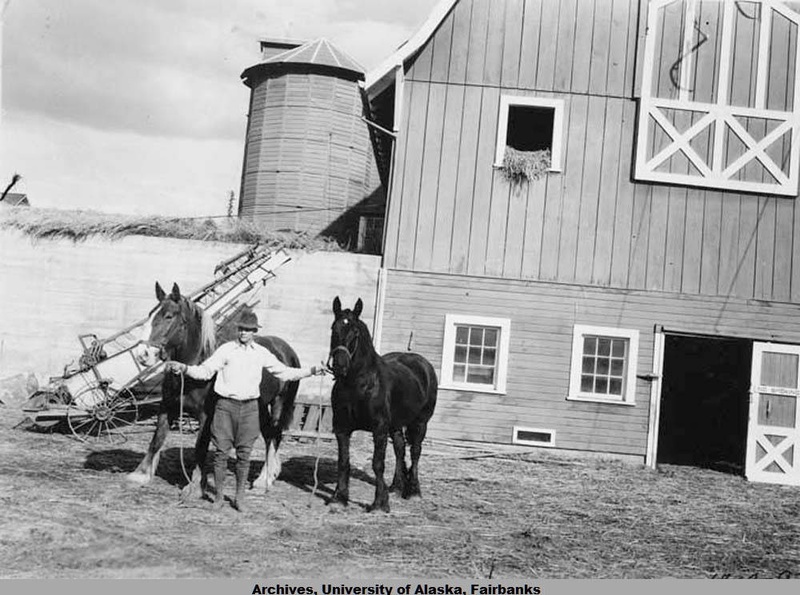 In 1917 the Alaska Agricultural Experiment Station was established at Matanuska when M.D. Snodgrass selected 240 acres for the site on the recommendation of the Alaska Engineering Commission. 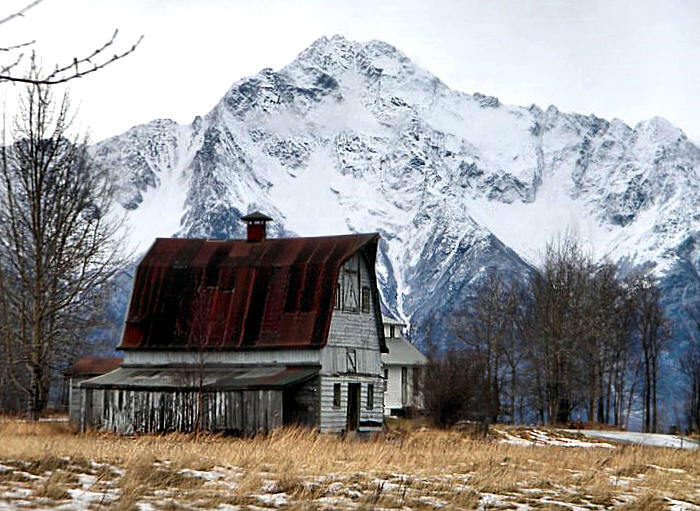 In 1923, at a meeting at the farm, the Matanuska Valley Settlers Association was created to reduce freight shipping rates to the Valley. 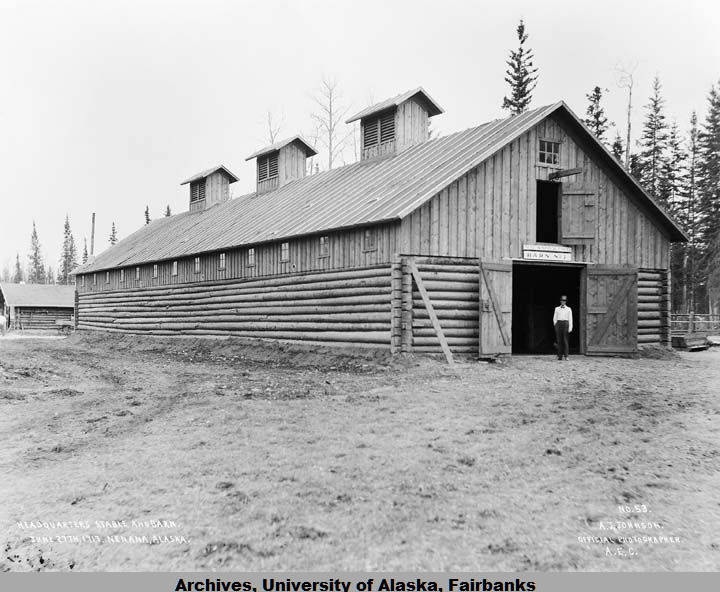 In 1931 the federal government transferred ownership of all experiment station facilities to the College of Agriculture and Mines in Fairbanks, which was renamed the University of Alaska in 1935. As population centers shifted, goals and objectives for agricultural research changed and the stations at Copper Center, Kenai, Rampart, Kodiak, and Sitka were closed.